Thermoplastic Elastomers (TPEs) are hard at work in Building and Construction. With a reputation for durability, aesthetics, easy handling and high performance, you’ll have the confidence that the materials used to build any structure are made to last. From tools to foundations to roofing and virtually everywhere in between, TPEs answer the call for building materials that hold up and stand out. While traditional building materials such as pipes, plastics, and components generally have a long lifespan, the use of thermoplastic elastomers has extended them even further. Because of their resistance to temperature extremes, lack of corrosive properties, and light weight, TPEs outlast their counterparts, making them more economical in the long run. Manufacturers have created a variety of construction tools using TPEs. Rubber tool grips on hammers, pliers, and drills have all been created using thermoplastic polymers. TPE material is very flexible with great memory, making it a great fit for flexible hoses and ducting used for air, fumes, vacuums, and suction. 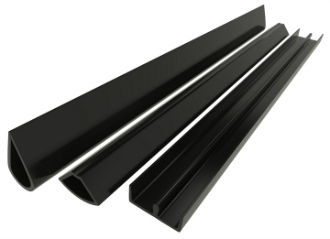 They are also used for extruded profiles found in airtight window seals, weather-stripping, and gaskets. Whether you are manufacturing tools or creating new pipe systems, we have everything you need to create long-lasting materials. 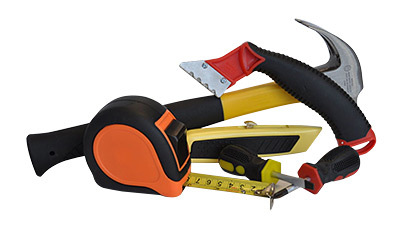 Construction tools benefit from thermoplastic elastomers. For example, an electric drill or a handheld hammer with a soft, gel-like grip will have better ergonomic function, allowing you to experience a much greater degree of control and safety. Construction projects often require weatherproofing to keep things dry and protected. TPE seals are a popular choice in the Construction industry, due to the material’s versatility and easy processability. Star Thermoplastics offers durable TPE material that can impart a wealth of features to a variety of seal, flashing, gasket and door sweep applications, including UV and weather resistance, temperature variance, impact resistance, co-extrusion, and flame retardance, among others. A well done construction project often has a lot to do with accuracy, and in some cases, just a little bit of TPE material can make a huge difference. 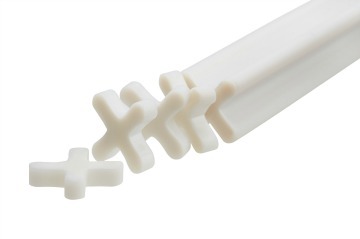 Small TPE tile spacers can help result in a well-installed and attractive tile arrangement; the TPE material is soft and flexible and has minimal shrinkage in processing, making it an ideal material for precision parts like tile spacers.